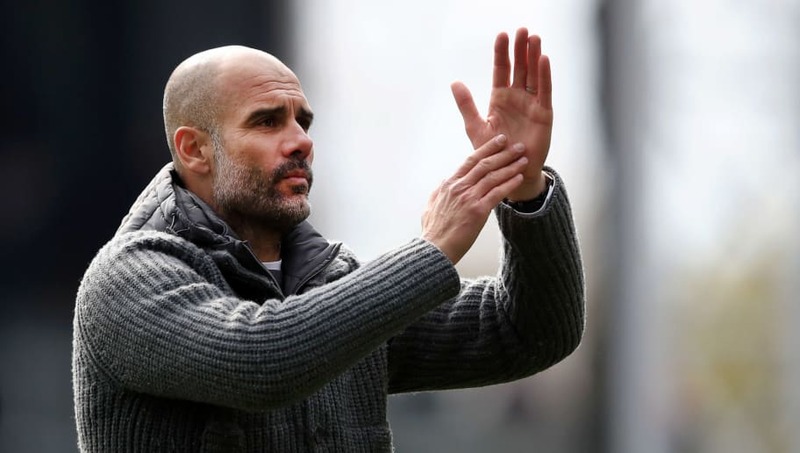 ​Pep Guardiola claimed that Manchester City will have to win all of their remaining Premier League games if they are to retain their title after Sunday's 3-1 victory over Crystal Palace. Raheem Sterling's brace and a late strike from Gabriel Jesus saw the Citizens comfortably past Roy Hodgson's side at Selhurst Park, before Liverpool maintained their own title charge with victory over Chelsea later on Sunday. The Reds' victory took them back above City at the top of the table, though the champions have a game in hand on their rivals. As quoted by the ​Guardian, Guardiola admitted after the game: "We'll have to win every game if we want to make back-to-back titles, we know that and the players have shown they want to do it. "No doubts. Why should I not trust them to continue [handling the nerves]? For a month in the Premier League we've known it'd be almost impossible. no, possible but very difficult, to win the title if we dropped points. "We've played with incredible personality in all the games, including the Champions League games. Don't forget we've had 183 points in two seasons with five games left. Those are incredible numbers, especially in the Premier League, and show how consistent we are. "I knew we would produce a good performance here. Now it's time to rest and get ready for [the second leg in the Champions League quarter final against] ​Tottenham on Wednesday." The commanding nature of ​City's victory on Sunday was particularly impressive following the disappointment of a 1-0 defeat in the first leg of their Champions League quarter final tie against Tottenham in midweek. "This game was really good after the Champions League defeat because the stage was not easy," Guardiola added. "We've played every three days [through] December, January and February but, even if we are not fresh, we have the personality for the games. "We think ​Liverpool are going to win all their games but the Premier League is still in our hands."